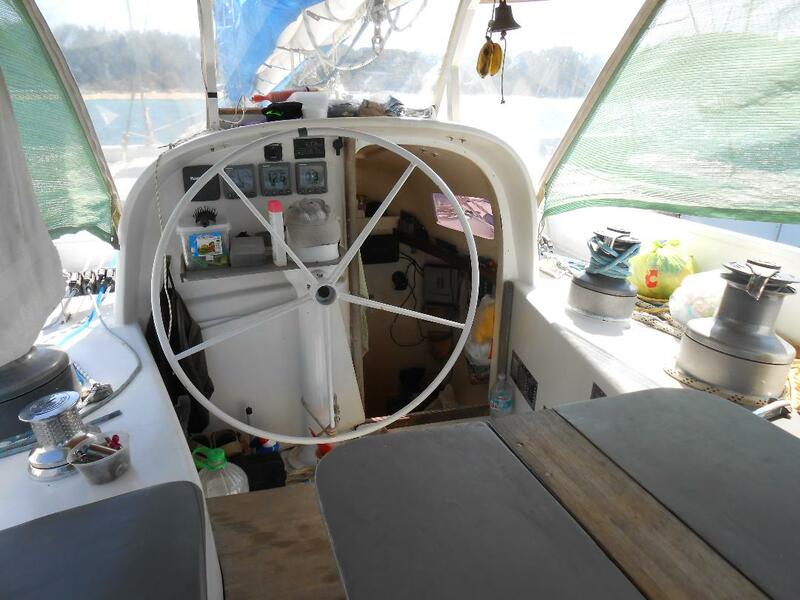 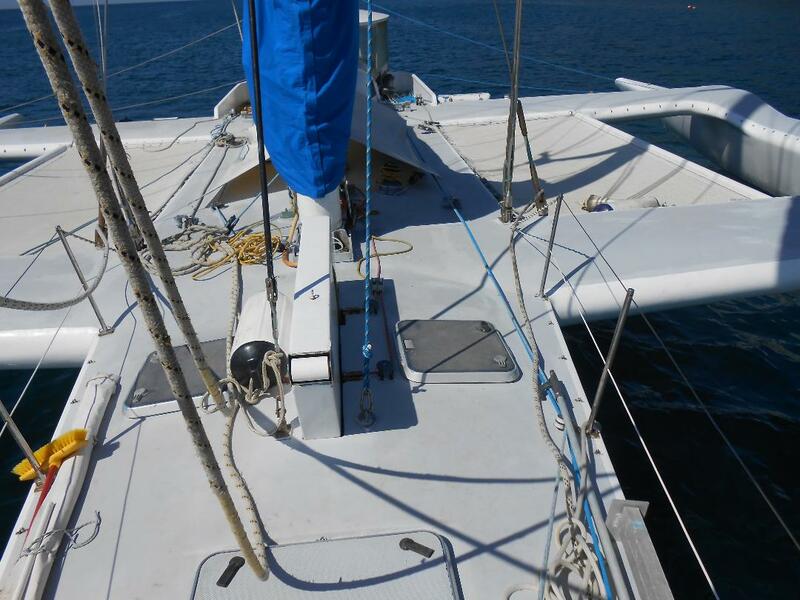 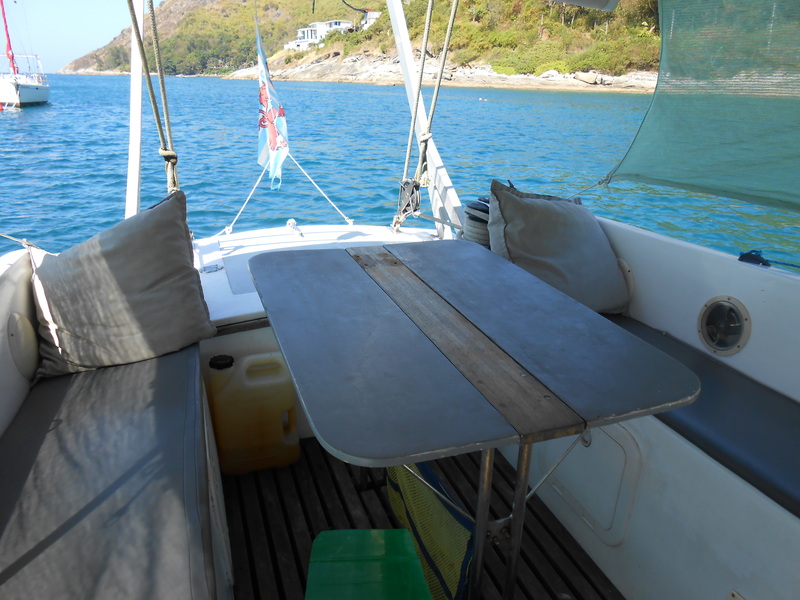 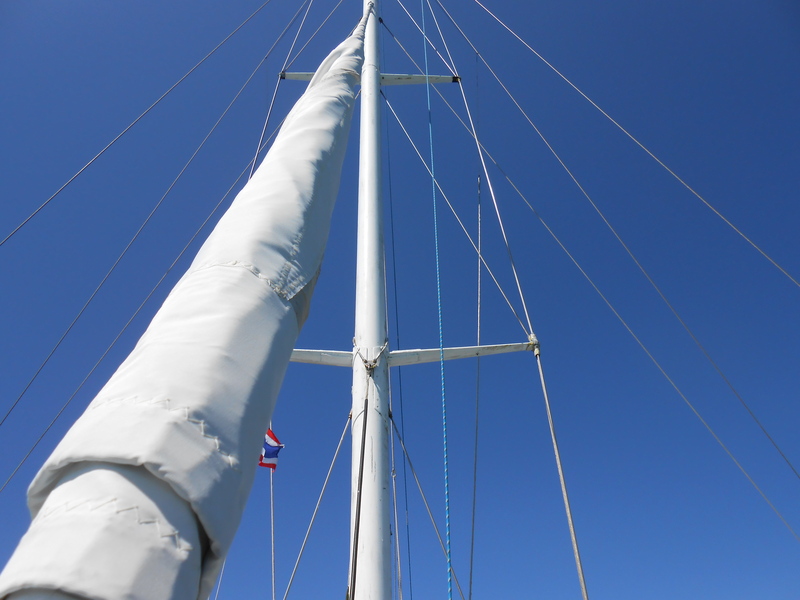 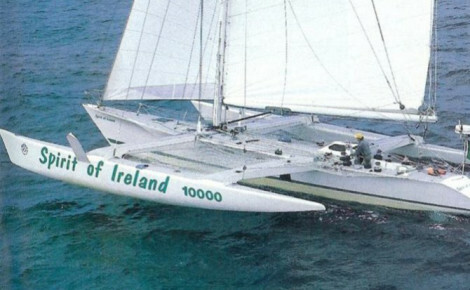 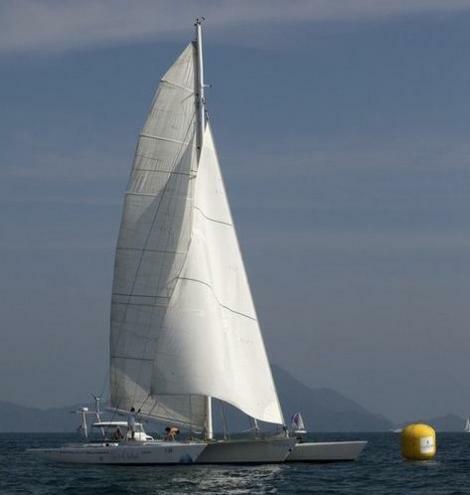 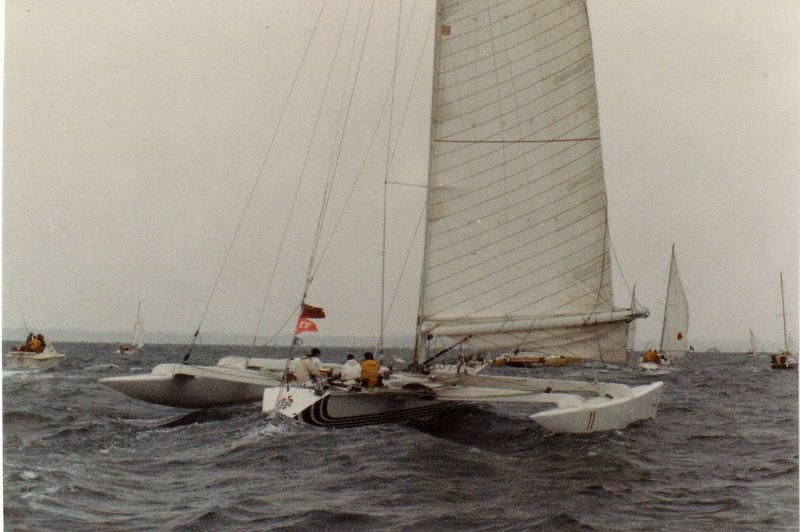 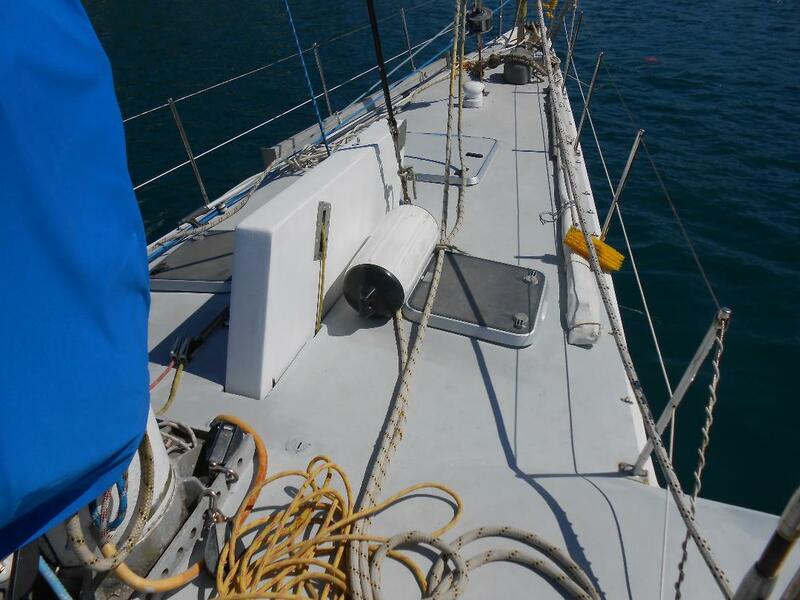 The Spirit of Ireland, It is fully fitted out for world cruising, lots of storage space, 55 HP Volvo D255/Saildrive new in 2013. 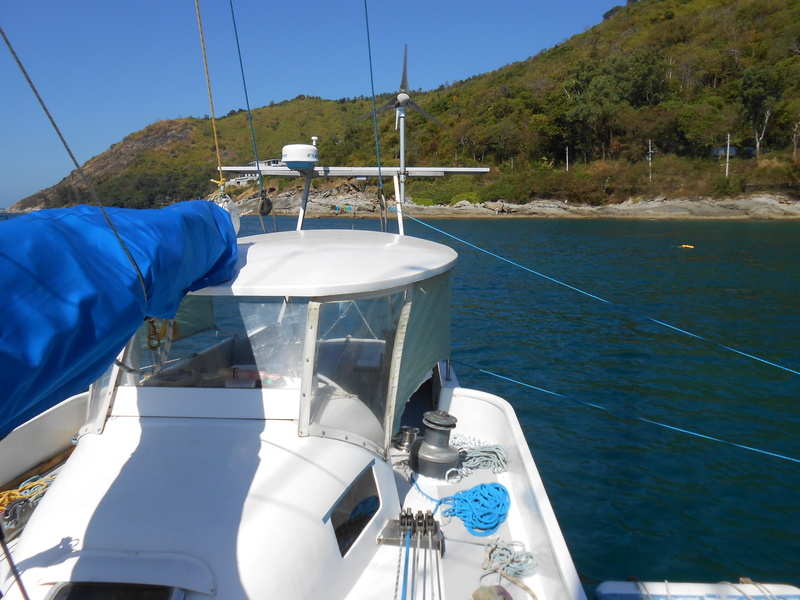 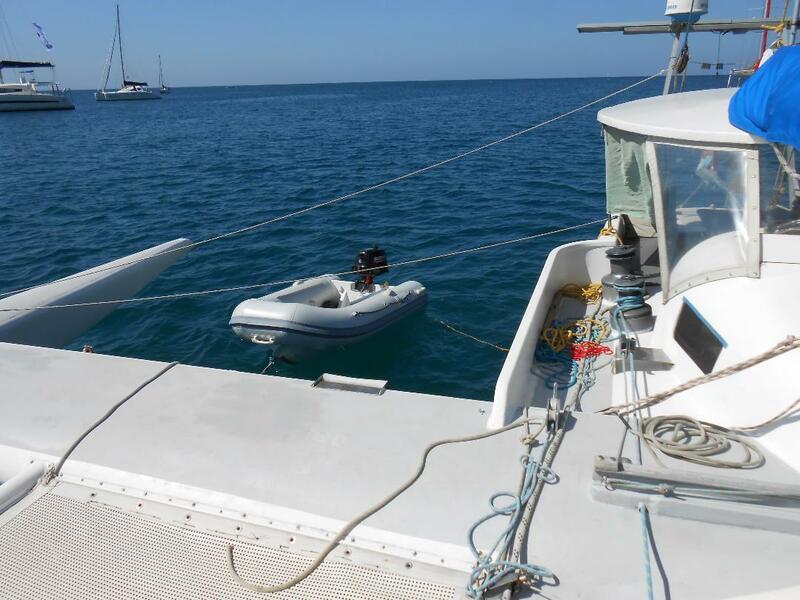 Engine driven water maker gives 100 liters per hour,, She has solar panels ,Wind generator , new batteries, new windlass, VHF, Gorie overdrive propeller giving 7 knots @ 15,00 RPM, Auto pilot, Fuel 250 liters, Water 350 liters, At a total weight of 7.5 tons it gives accommodation with one single pilot berths in the saloon and two double berth cabins with a fully 2 meter hight (through all cabins)… The sails are in good condition a total sails area of 170 m2 (batten mainsail: 100 m2 (2007) + genoa: 70 m2 2008, 2 x rola reefing headsails , New Hypalon 2.5 m RIB with alloy hull & Suzuki 6 hp 4 stroke outboard, She is Insured, has a 4 page inventory written in French , The owner for the last 25 years Tom has keep S.O.I. 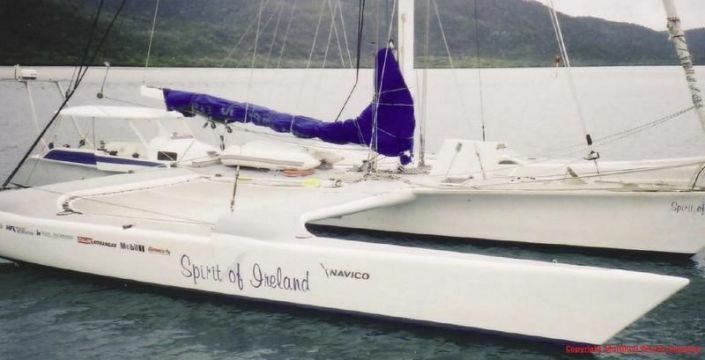 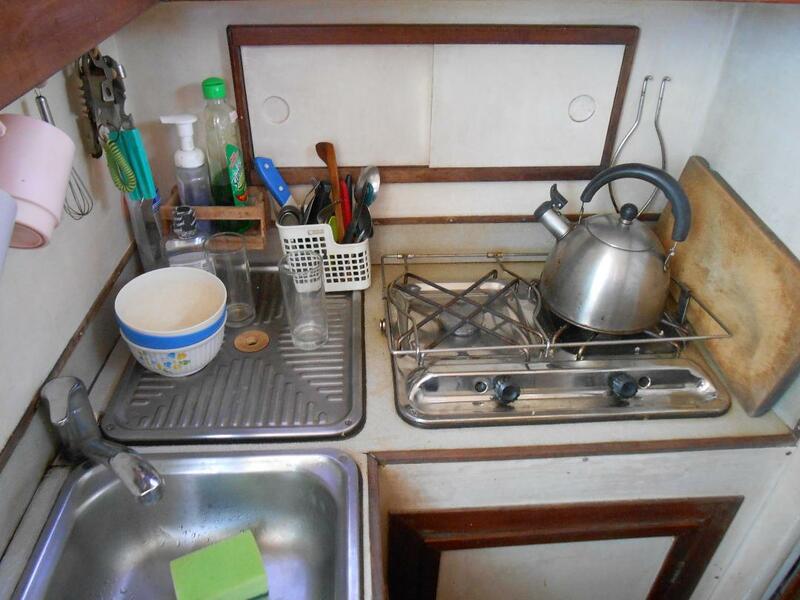 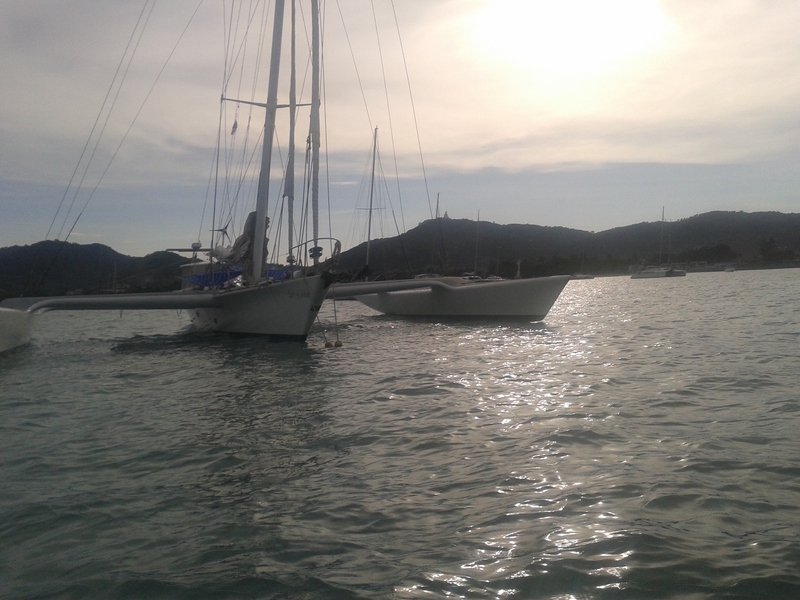 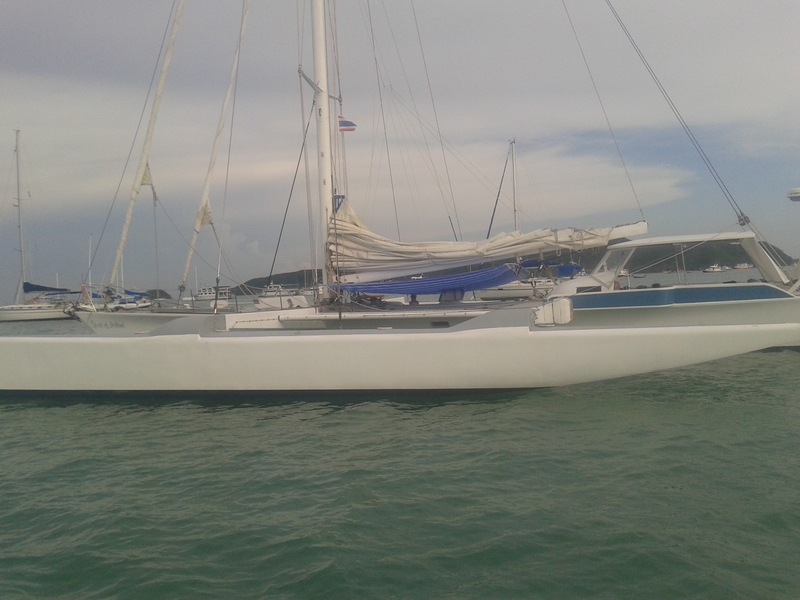 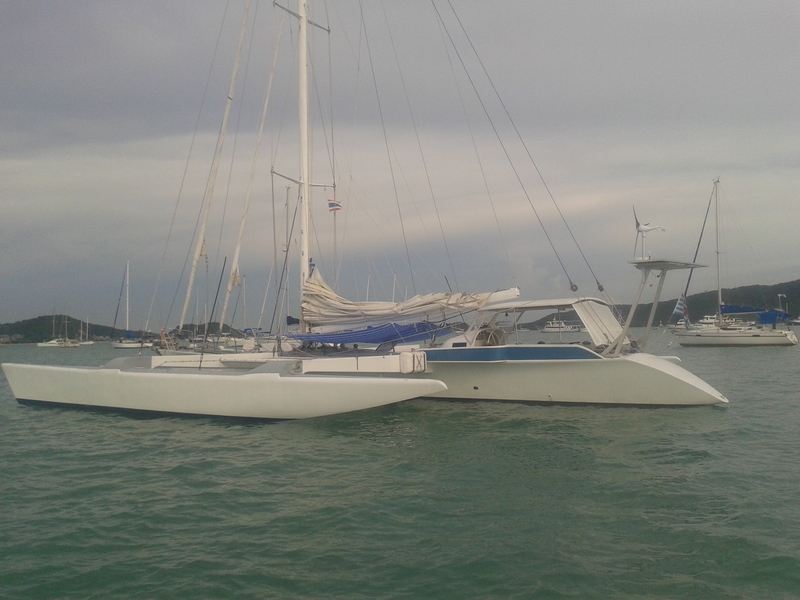 in good running condition, regularly serviced, Is often seen in the Chalong anchorage & admired by all ,Tom has been single handling Spirit of Ireland round the world for 25 years and is retiring to land.